Our featured "first time builder" is Gregorio Iacobelli. Professor Iacobelli is the Direttore d'Orchestra, Docente al Conservatorio di Musica, Niccolo Piccinni di Bari, Italy. Professor Iacobelli is a testament to the value of determination and willingness to go the extra mile to reach a goal. To read the Harpsichord Project in his native Italian, he used Google Translator to translate the book into Italian - no small feat considering the number of pages involved. Realizing that the measurements were in Imperial units, he made a conversion chart to convert the measurements into Metric equivalents. Due to his inquiry, version 3.1 and the current version 4.1 of the e-book have both Imperial and Metric measurements. This conversion from Imperial to Metric was problematic in that I neither read or comprehend the metric system. I used a conversion program to "translate" from one to the other, and I lived in constant fear that I would include an incorrect measurement in Metric and be unable to see my error. This resulted in many emails to Gregorio asking for his guidance and advice - which he so freely gave. This is further proof that the teacher sometimes learns from the student. Thank you for your excellent collaboration, Gregorio. 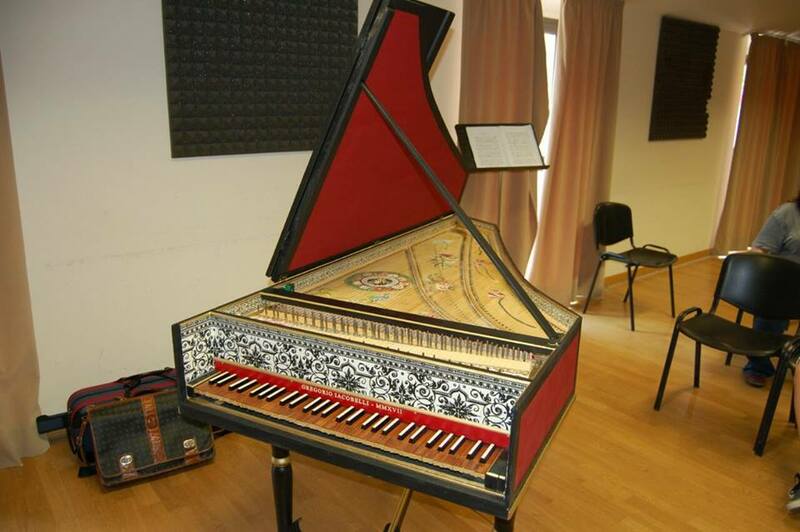 You can read more about his harpsichord journey on the Testimonials page of this website. Please note that he chose his own color scheme, eliminated the Latin Motto on the lid, and changed the style of the bench and stand. This is the correct approach as it's his instrument and it should be built according to his tastes and preferences. Well done, Gregorio! And now, let's enjoy the fruits of his labors. The harpsichordist is Carlo M. Barile. Headphones are strongly recommended.